Home » Articles » What is inclusiveness? To answer the question: what is inclusiveness, one should look at six points that have to be met: everything can be said, everything is allowed to be there, communication is open and direct, new ideas are considered with an open mind, the leader/manager is persistent and confident in decisions, and the leader/manager encourages others in terms of personal growth. Inclusiveness is leading a team or organization without ego and fear. Everyone is allowed to be there, which ensures true inclusiveness. Esther Mollema and Muriel Schrikkema support many for-profit, non-profit, and governmental organizations in building a truly inclusive organization. Would you like to know more? Please contact Sanne Ockhuijsen for an appointment. 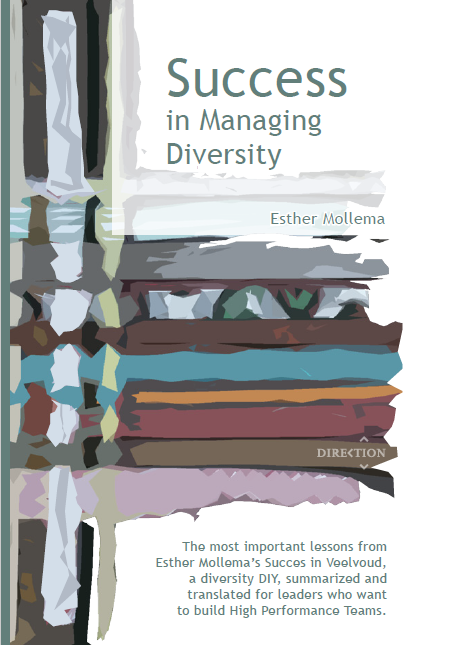 Download ‘Succes in Managing Diversity’ for free in PDF! Employees can express their disapproval, approval, and criticism without personally hurting or harming the leader. The leader can view the information objectively, without defense and resistance. Everything is allowed to be there. Success is shared and awarded to the other. Successes of the team are celebrated together and everyone’s contribution, no matter how big or small, is recognized. 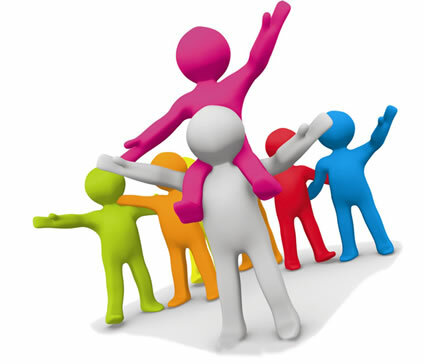 Team members use ‘we’ instead of ‘I’ and the leader ensures that everyone can have a share in the success of the organization. Communication is open and direct. There are no false bottoms in conversations. The leader has no hidden agenda; one’s attitude stimulates openness. Every dialogue radiates the atmosphere of trust and respect without limiting convictions. The leader looks for the dialogue and ensures that employees can contribute optimally. The dialogue is inspiring and coaching. New ideas are considered with an open mind. The leader has no bias and can assess the value of all ideas openly. The leader is persistent and confident in decisions. Decisions made are followed with determination if the facts do not change. Trust in handling does not become dogmatic because external influences are taken into account objectively. The leader encourages others in terms of personal growth. One gives freedom in restraint and does not ask too many questions. The leader encourages others to discover mastery and is not afraid to learn from others. These leaders realize that getting to know yourself is a lifelong process. By mirroring and reflecting, they continue to look for their deeper motives. They examine their negative feelings and turn them into a better understanding of the motives. These leaders transform teams and organizations. They can lead diverse teams and use the power of diverse teams. Are you such a leader? Let us know what you do to achieve greater inclusiveness within your team or organization! Please visit our Mindbugs website for more information about the mindbugs test and workshops.